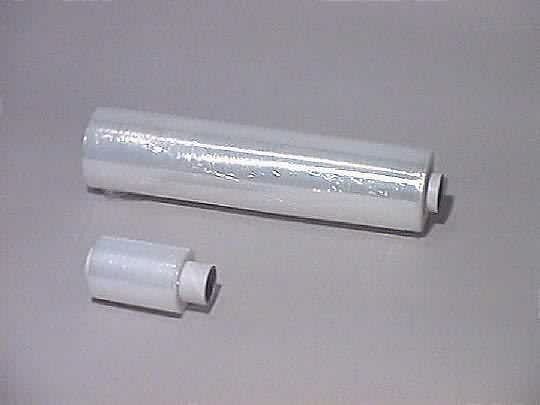 Industrial quality stretch wrap. Ideal for securing smaller parcels for transit. This item does not heat-shrink. 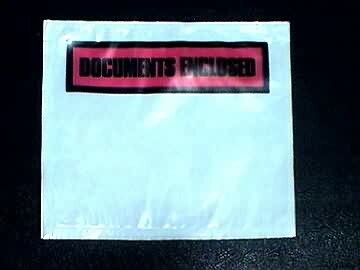 Product description: Industrial quality stretch wrap. Ideal for securing smaller parcels for transit. This item does not heat-shrink. Description: "Photo of pallet wrap"
Pallet Wrap/Stretch Wrap in a range of sizes and weights. Primarily sed for fastening goods to pallets for transport. This item does not heat-shrink. 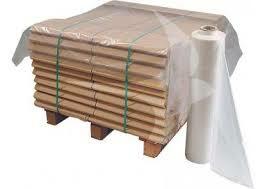 400mm (16") is our most popular size of pallet wrap. Industrial quality stretch film for securing large loads onto pallets by repeated winding. This item does not heat-shrink. Product description: 400mm (16") is our most popular size of pallet wrap. Industrial quality stretch film for securing large loads onto pallets by repeated winding. This item does not heat-shrink. Description: "Rolls of pallet wrap"